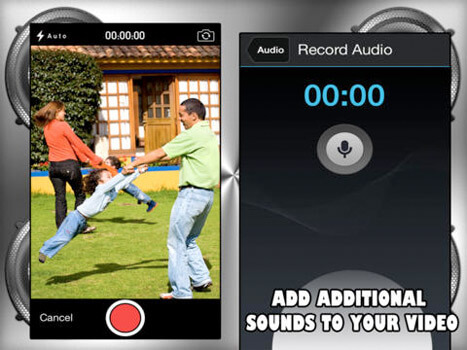 Record or use old videos: Let your creativity run and use videos previously recorded or grab your device and make memories with this super app! 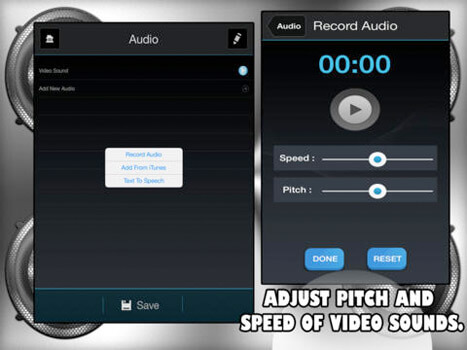 Add Speed: To the original sound and video... With just one tap! Adjust the pitch: Make it sound funnier or more dramatic! Add new sound: Want to explain what is taking place in the video or just add some remarks to the video that you didn't while filming? Now you can! 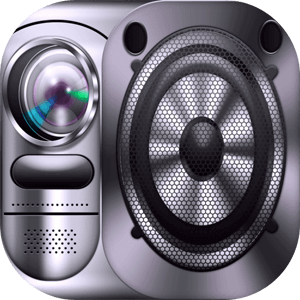 Add any music or sound straight from iTunes- make your videos feel an sound professional in one easy step! 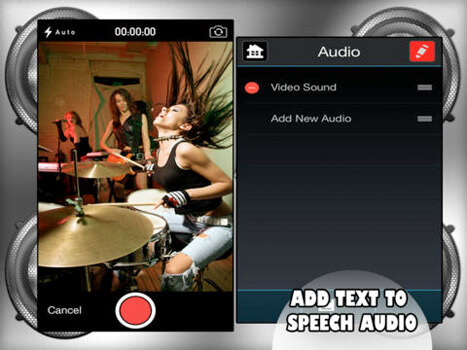 Text to speech: Don't like how your voice sounds when recorded? 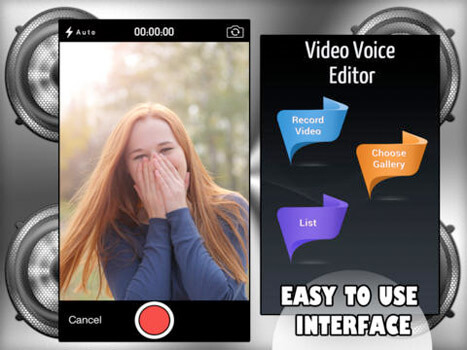 Now you can use the latest male/female text to speech technology... All included in this amazing app! Save: with just one tap save it in the app automatically organized by date/ length/ name etc... Or in your native library! Share: After all your hard work, now you can share it with your friends via email or Facebook with just one tap.